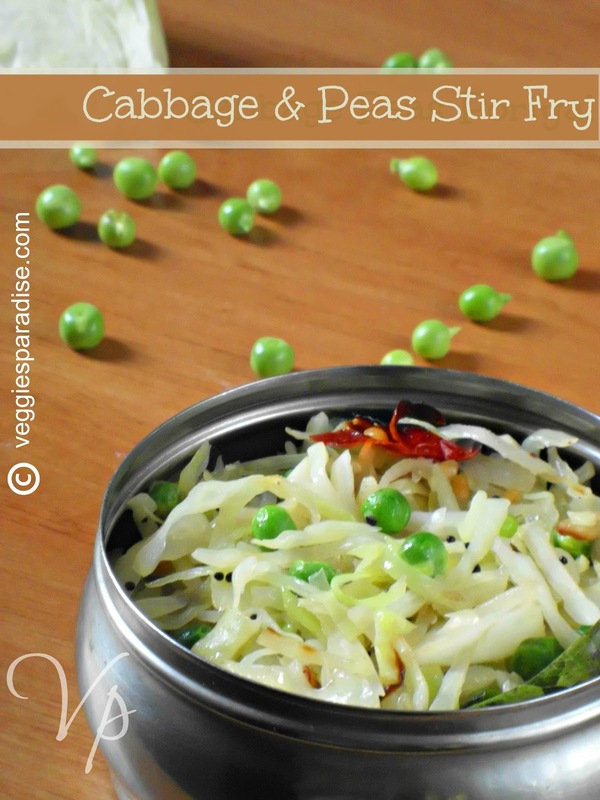 CABBAGE WITH PEAS STIR FRY - This is a simple and slightly sweet stir fry. Cabbage is finely shredded and cooked along with fresh peas. 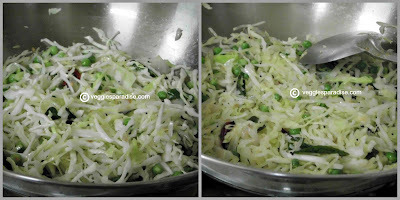 You can also sprinkle a bit of grated coconut on top. 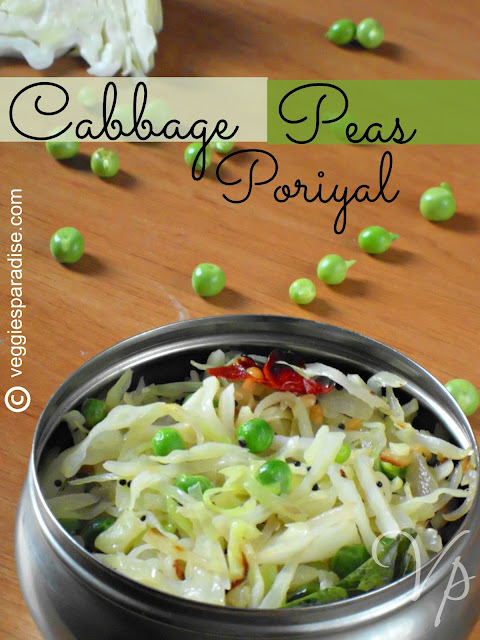 Serve this with rice or roti. Cooking time : 20 mins. 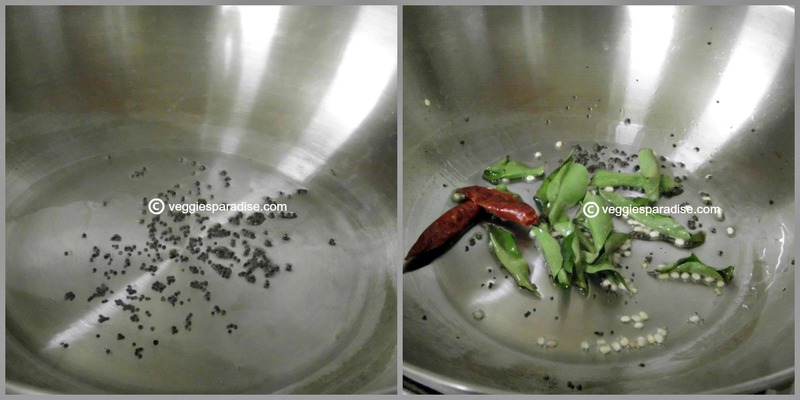 Heat oil in a saucepan, add the mustard seeds and let them pop up. Add the urad dal, curry leaves and red chillies, stir for a few seconds. Add the onion and fry until soft. 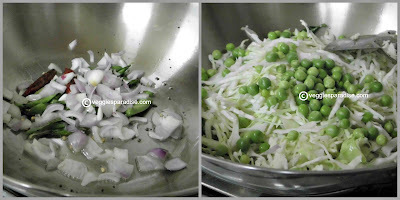 Add the cabbage and peas. Season with salt and stir the vegetables until they turn translucent. Sprinkle little water, reduce the heat and cook until the vegetables are cooked. Serve hot . Healthy and delicious cabbage with peas stir fry is ready to be served. Very healthy and delicious combo. Tempting clicks dear. Very healthy and yummy stir fry. healthy stir fry, love the combo. Amazing clicks dear and simply wonderful recipe. Mouthwatering here. This is so yummy. Come and participate in my event, there are 2 giveaways as well. Very healthy and yummy stir fry. 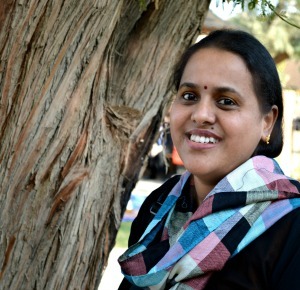 My Monthly Event - Spotlight Valentine's Treat: ""
healthy and delicious fry Aruna! Too tempting Aruna & super delicious!!! 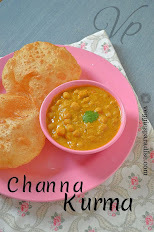 Curry looks so good..amazing clicks..
Like the curry and you cooked it wihtout changing the colour. Love to have it with sambar rice Aruna. Your cabbage curry looks amazing. I too made cabbage curry last week and it tasted lovely but you have managed to make yours look absolutely delicious. I love the detailed pictures.